Aurora, IL Garage Doors, Aurora, IL Garage Door Repair | Overhead Garage Door, Inc. Overhead Garage Door Inc., the industry leader, is a certified dealer of Clopay Garage Doors. We are proud to provide customers throughout Aurora, IL with quality residential and commercial garage door products, unparalleled service, and extraordinary value. It is our goal to help you improve the value and curb appeal of your property. Our trained technicians continually strive to exceed the high expectations of our customers. The Clopay product line provides our customers with a wide selection of styles, ensuring a garage door that is breathtakingly attractive, perfectly suits your needs, and operates with ease. Whether you need a new door or opener installed or are in urgent need of repairs, our trained and experienced professionals aim to provide you with total satisfaction. 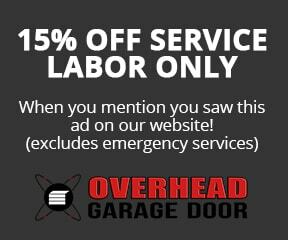 Whether it’s a minor technical glitch or major damage sustained in an accident, Overhead Garage Door Inc. will rectify the problem. Our technicians will arrive on time, identify the problem, explain with you in detail all possible solutions, and present you with a comprehensive estimate before any job begins. Emergency services are available around the clock. We invite all Aurora, IL residents and business owners to review our entire selection of products below and hope that we are able to help with all your garage door needs. We want to do our part in providing you with property that perfectly reflects your pride in being part of the Aurora community. “I work two jobs so my free time is very, very precious. 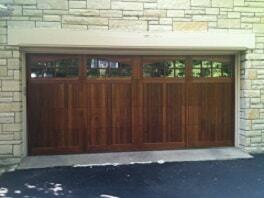 Thankfully, when I was in need of garage door repairs, Scott B. arrived on time and completed his work quickly. There was no waiting around. I’m very grateful.” – Mike W.
“Paul R. came out to our house and helped us pick a garage door that enhanced our home’s look.” – Sherry G.
“I had plenty of questions regarding my upcoming service call. Amber L. had all the answers.” – Ned D.